• lUser friendly Cypcut Windows CAD/CAM CNC control unit. • Low investment and operating costs. • The most cost-efficient solution for every requirement. • Advanced Raytools cutting head (with air cross blast). • High performance and high accuracy rack and pinion system. • Acceleration speed: 19,6 m/s2 (2G). • Maximum simultaneous positioning speed: 160m/min. • Precision: + - 0.05 mm. • Energy efficiency: greatly reduced power consumption. • Excellent cutting quality for fine thic kness and medium thickness sheet metals. • IPG Resonator. Power output from 1 kw to 6 kw . 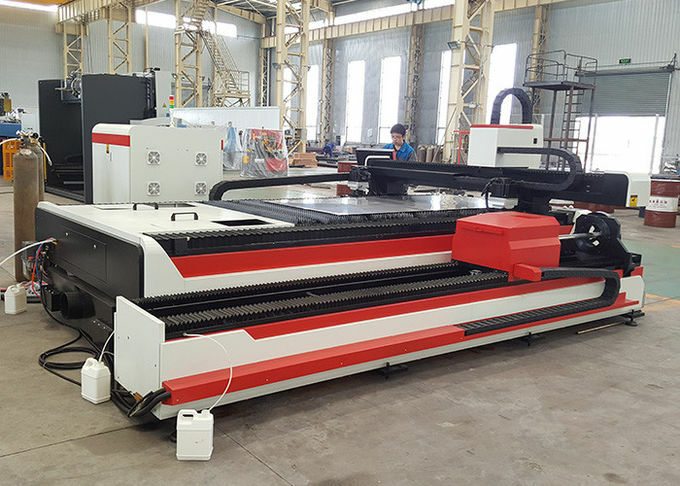 • Precitec light cutter cutting head with po wer output up to 2kw. 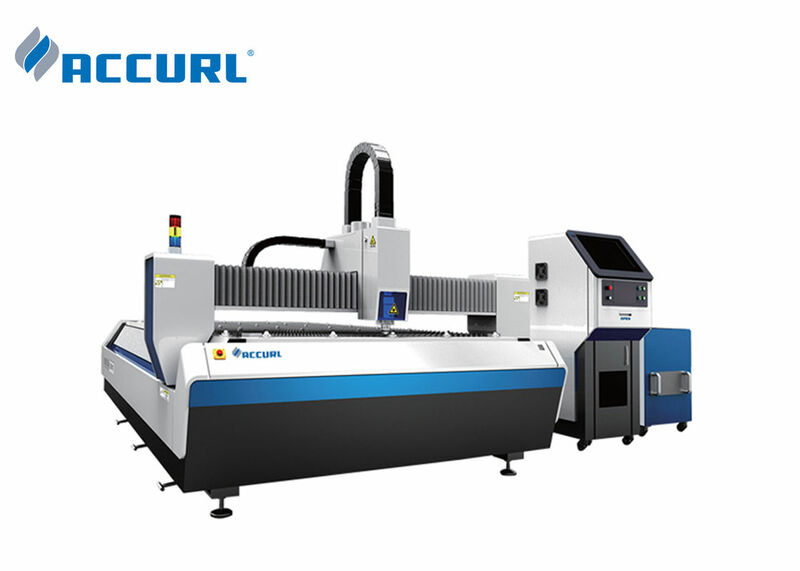 • Precitec HP cutting head for po wer output of more than 2kw. 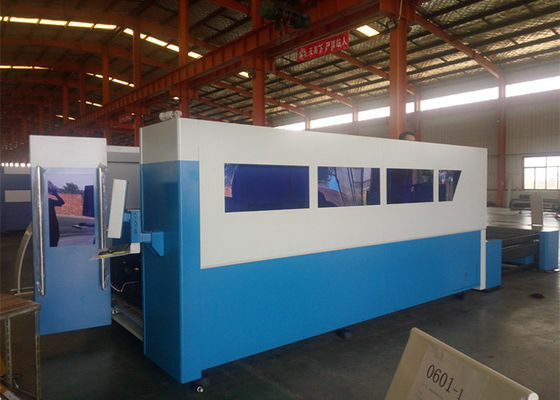 • Fully enclosed and cabinned to ensur e máximum operator protection. • Effective high to low pressure gas exchange system. • Capacitative Sensor, high pressure cutting head. • TCI Cutting parameter tables. • Automatic mechanized Nesting power output control function (edges, start-ups). • Automatic time and unit cost calculation function. • Network connection from external. • Automatic table exchanger (included in series models). • Smoke extraction (included in series models). • 3 point reference sensor (sheet metal rotation detector). • Collection of work pieces and trimmings. • Dual proportional valve control system for different gas pressures and special system for high pressure cutting. • Online video authentication machine work. • Cutting samples provided by DHL. • Training how to instal the machine, training how to use the machine. • Engineers available to service machinery overseas. The ytterbium laser light is created inside the laser unit.Excitation is performed by laser diodes enabling high efficiency with low costs. Laser light created at the resonator is transferred to the cutting head by a fiberoptic cable without loss of power or quality. 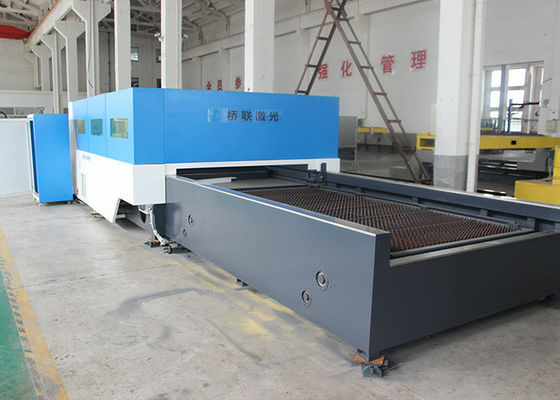 This provides a high beam quality appropriate for metal cutting.The Power range of resonator source is between 500W and 6 kW. As the wattage increases so does the cutting speed and capacity respectively. 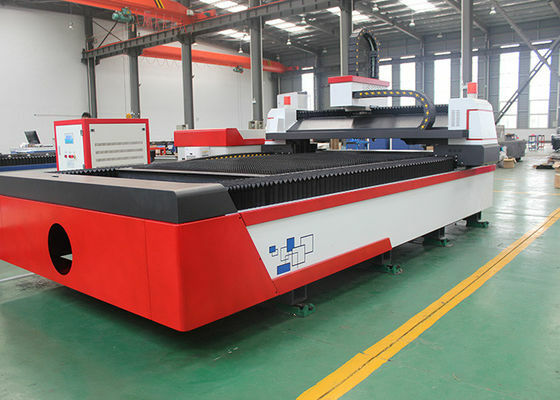 Fiber Lasers are inherently made for maintenance free production. The importance is sustainable diode life lasting approximately 100,000 hours.